The Oscars are next week and while everyone tries to hand in their ballots and figure out who will win Best whatever, many people are drawing attention to Wes Anderson's latest creation, The Grand Budapest Hotel, which arrived in theaters last Spring. Anderson, who is a master of quirky and off-beat cinema, seems to finally get the award attention he fully deserves. Yet, for the man who created Rushmore and Bottlerocket, in 2001, he reached universal acclaim with his film, The Royal Tenenbaums. The film, which chronicles a gifted New York family through their trials and tribulations was one of the most talked about films of that year and still continues to be a benchmark picture in Anderson's growing arsenal of movies. Yet, like the memorable characters, costumes, and jokes, the soundtrack of Tenenbaums was another star of the picture. Using Devo's Mark Mothersbaugh as the film's composer and soundtrack curator, the music chronicles four decades of scenes, styles, and trends as well as a unique score. 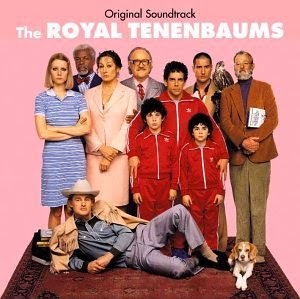 Featuring Nico, Elliot Smith, Nick Drake, The Clash, The Ramones, Bob Dylan, and others, The Royal Tenenbaums soundtrack is a time capsule of what made the 1960's through 1990's musically great. Just like the film itself, the music speaks to the audience on a different level that 14 years later, it still holds up.